/UCW/ In this episode of Money Never Sleeps Radio we touch on Green Organic Dutchman, Tilray, Cannabis, Cryptocurrency, The State of Florida for business and more. “I’ve been talking about cannabis stocks lately as that is the flavor of the month right now, with the rollercoaster ride Tilray is making, I’m sure investors are getting dizzy, trader are feeling like they are in Vegas and in the end lets see where it settles in. 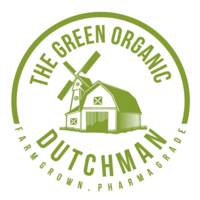 Another stock to take a look at thats less volatile and a lot cheaper is Green Organic Dutchman, symbol TGODF, another Canadian company as most Cannabis companies are overseas at the moment. This company is more of an end product supplier and not a grower, so they are like the Procter and Gamble of the Cannabis industry, providing consumers with the pretty packaging and end product. This could be interesting as more beverage, alcohol and tobacco companies jump into this space. I want to talk about where the money is going, well the money people anyway, with the high taxes coming from states like NY, CT and such, there has been a major exodus to Florida, so the snowbirds are becoming full residents to take advantage of the nice weather, low taxes and no income tax situation. Areas such as Orlando, Tampa and surrounding areas will continue to boom for the next 4 years or so. From the ports on down, there is a lot that Florida offers big money players and business in general.